Faced with the worst storm in the ice-planet Khorm's history, Jedi Masters Plo Koon and Kit Fisto embark on an impossible mission -- to destroy the Separatists' mountain fortress. 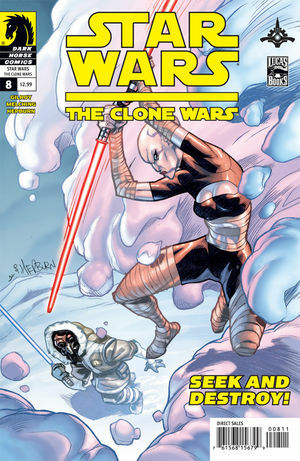 But their assignment has been made harder still by information divulged by a Republic captive -- and the arrival of Asajj Ventress and her elite Commando droids! Clone Wars action on ice!